Our Criw Cymraeg have been busy promoting the use of Welsh throughout the school and within individual classes. 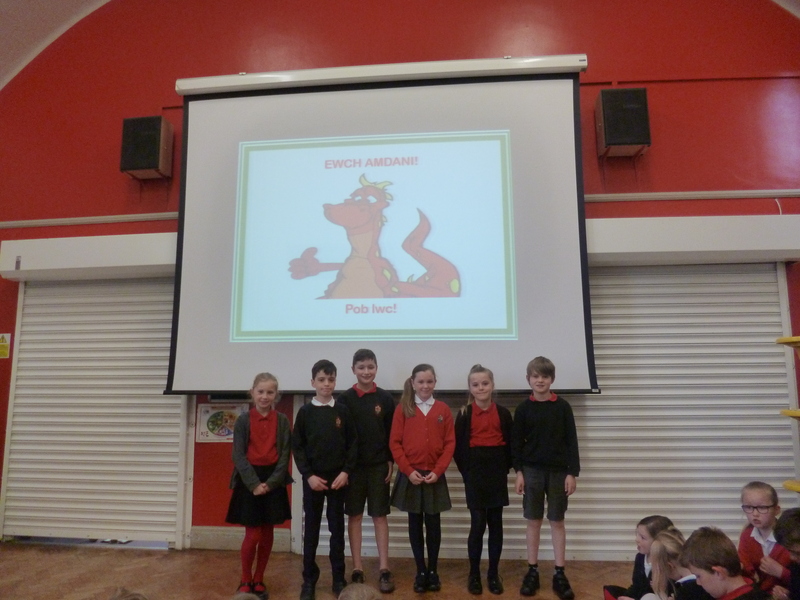 Each class has its Criw members and all the team recently took part in a school assembly to highlight the importance of speaking and communicating in a second language. The Criw all enjoy talking to people in Welsh and hope to encourage all pupils to gain confidence in speaking Welsh on a daily basis. Please see our Flickr page for more pictures of the ‘Criws’.